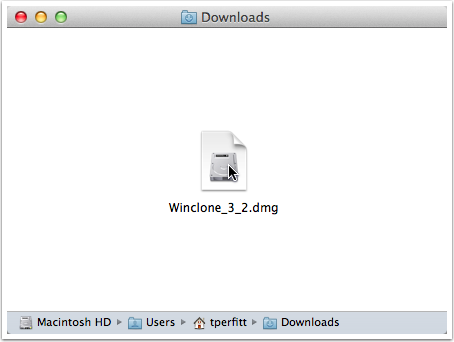 Winclone is installed using a standard drag install on OS X. This makes it easy to copy the applications between Macs and does not require a complicated installer. However, Winclone cannot be run directly from the disk image, and must be installed on a Mac OS X volume (preferrably in the Applications folder, but not required). 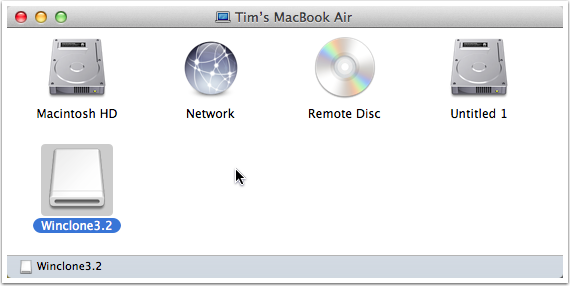 After Winclone is downloaded, a disk image will normally be opened and this following window displayed. However, you may have to double click the disk image file in order to open it. 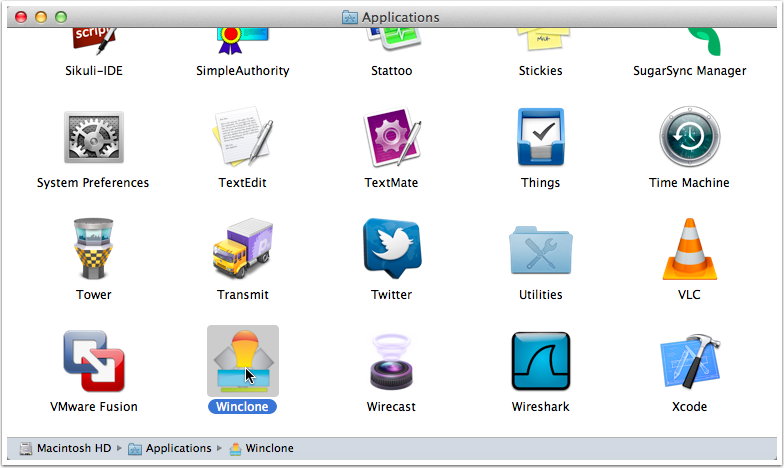 To install Winclone, simply drag the Winclone icon onto the link to your Applications folder. 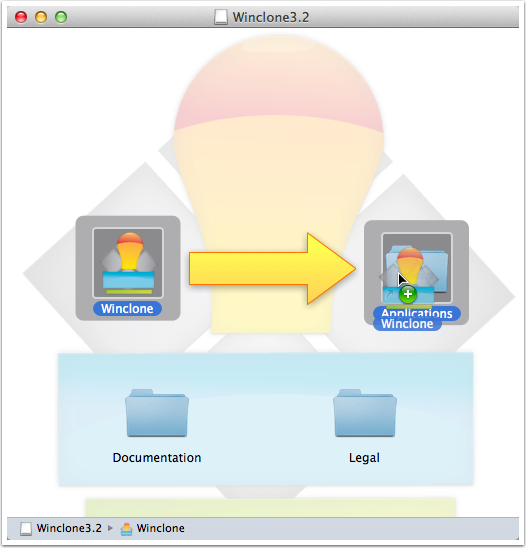 Drop the Winclone application into your Applications folder. In your dock, select the Finder. If the window that appears does not show the Winclone disk image, select Computer from the Go menu. Next, select the mounted disk image, and select Eject from file menu. Next, open the Applications folder by selecting Applications from the Go menu. You will find the Winclone application. Double click to open it. Winclone sets special permissions to allow it to security access all the data on your Bootcamp partition. If you receive the following error message, the most common cause is that you launched the Winclone application from the disk image, or a non-Mac OS X volume. Click Quit to exit Winclone. Make sure that you are launching Winclone from the Applications folder as shown in the prior step. If you cannot find Winclone in your Application folder, follow the prior steps to drag into your Applications folder. Article published: April 20, 2017 22:11 . Article last updated: April 20, 2017 22:22 .